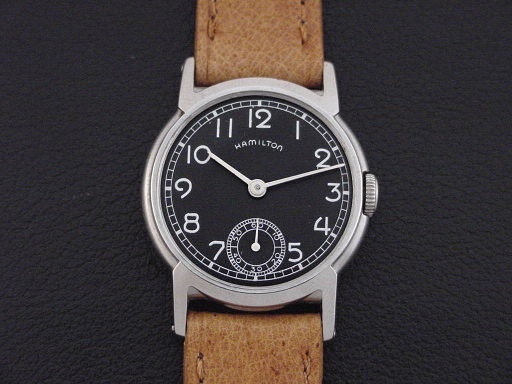 Hamilton “Lexington” men’s Art Deco design wristwatch in stainless steel, circa 1942. 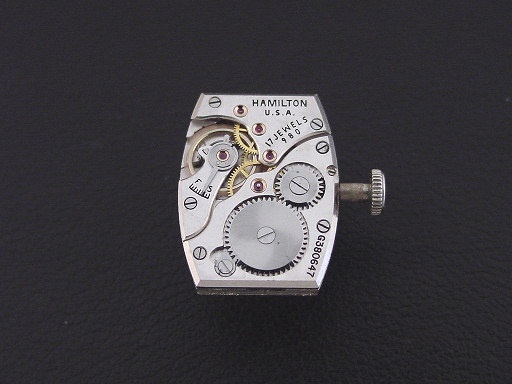 The “Lexington” was Hamilton’s first stainless steel wristwatch, and although it has a round case, it is powered by the rectangular grade 980 movement. The “Lexington” was marketed for use by military personnel and was priced at $42.50 in 1942. This example is in excellent condition with a nice case which still has some of its alternating polished and satin finish. 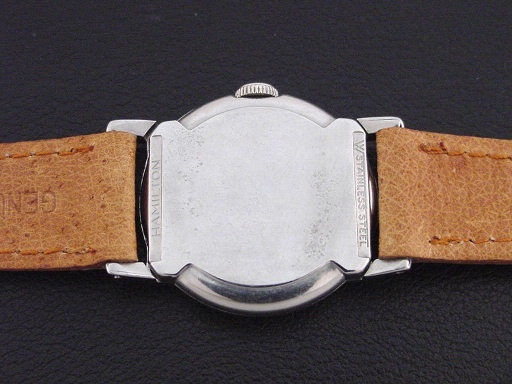 The caseback is excellent and unengraved, with some light marks. 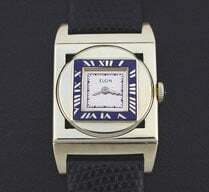 Case measures 36mm long and 28mm wide. 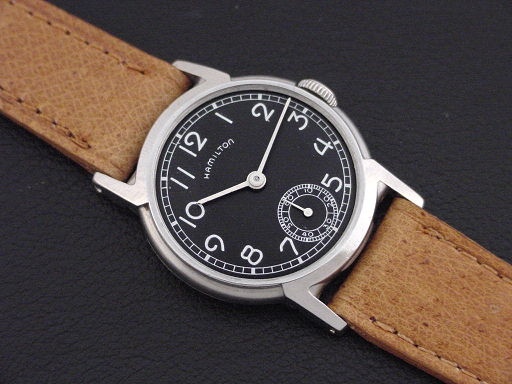 Refinished black dial is superb. Hands are original new old stock. Has new acrylic crystal. 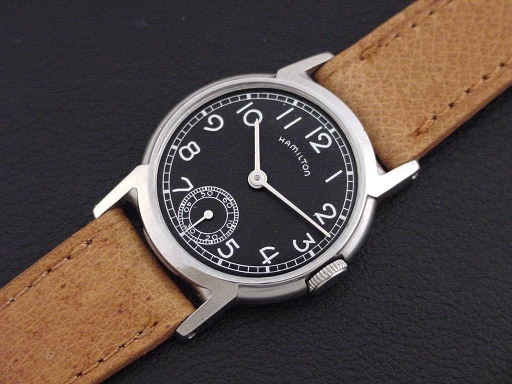 The watch is powered by its correct 17-jewel Hamilton grade 980 manual wind movement, just serviced and running strong. Has correct original stepped steel crown.